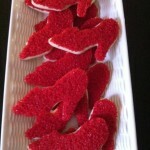 “Lions and tigers and bears … oh my …” that’s what we said when a friend of ours asked us to bake some Wizard of Oz cookies! 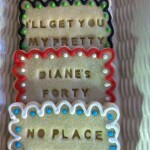 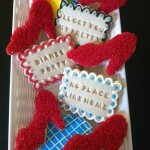 In the end, we decided on a super glitzed out replicas of those iconic ruby red slippers to accent our message cookies, check them out here. 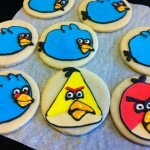 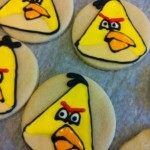 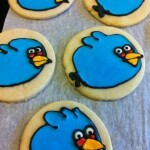 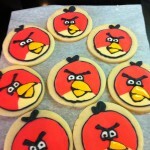 In the spirit of embracing the Angry Birds craze, we baked some not-so-fun-loving cookie replicas of those testy fowls for some not-so-angry nine year olds!